AIRBASE™ is a proprietary market tracking and valuation software. It uses a customized algorithm to price aircraft relative to other current inventory as well as recently completed transactions. Simply put, better results start with better data. Unlike most brokers that repackage generic commercial data, we employ a full-time market analyst responsible for tracking actual transaction and for researching current inventory. We track a comprehensive list of pertinent variables including: optional equipment, airframe hours, engine/maintenance program status and even cosmetics and actual sale prices. This data is analyzed to identify market trends and efficiently price current inventory. Each of our markets is led by a specialist with extensive product specific sales and operational experience. The specialists work with our market analyst to create a value matrix that incorporates all pertinent variables and defines value adjustment factors. The result is an algorithm that allows us to compare all current inventory to both other inventory and recent transactions. 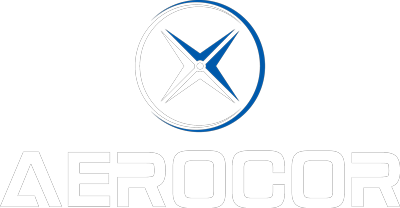 In negotiations, information is power, and AEROCOR customers know that they have the best. All list prices and offers to purchase come with a complete value analysis, providing context and justification. The result, fewer days on market, higher rates of accepted offers and most importantly, PEACE OF MIND!